The best things to do in Grand Cayman to relax and adventure on this beautiful caribbean island. The Cayman Islands offer some of the most beautiful, postcard-perfect beaches in the Caribbean! 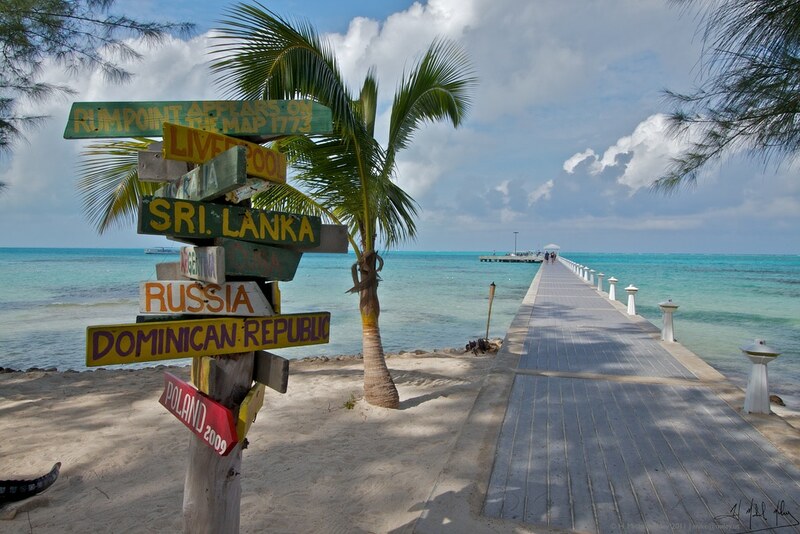 In this collection of islands, Grand Cayman is the largest and most popular. Because these islands are considered a British Overseas Territory, you’ll find some British influences and history throughout the island. The beaches are truly spectacular. Palm trees and tropical vegetation line the wide, soft sand beaches. Crystal clear waters remain shallow for a while, before diving off into coral reefs and deep blue hues. Therefore, some of the best things to do in Grand Cayman involve relaxing and exploring these beautiful waters. Let the waters lap against your ankles, or take a boat ride to swim with the stingrays. Whether your ideal vacation involves total relaxation, adventurous exploration, or a mix of both, check out these top things to do in Grand Cayman. Some say that this is one of the best beaches in the entire Caribbean, and it’s easy to see why. It actually looks like an unfiltered version of your desktop background that you’ve set to dream of the beach while you work. This section of beach faces west and wraps around in a crescent shape. There’s plenty of space to spread out in the soft, coral-crushed white and pink sand. And of course, the turquoise waters lap at the shore, calling you to come float in the salt waters of the Caribbean. You’ll find some luxury resorts lining the miles of this shore, as well as activities and watersports offered to you. The famous dive site of the Kittiwake Shipwreck and reef is just to the north of here. Spending a day at one of the best beaches in the Caribbean is one of the best things to do in Grand Cayman. While you’re there, head a little bit further north for your dinner at VIVO. You can sit outside to enjoy some delectable food while you watch the sunset. Rum Point is one of the top places to see on Grand Cayman. This postcard-perfect destination makes for great picture taking and scenery gazing. It’s located centrally on the island, on the northern coastline. Rum Island is characterized by palm trees, soft white sand, and turquoise waters. The light blue water remains shallow for a bit, then drops off to the dark blue of the Caribbean Sea. It’s fun to explore since you can walk along the pier, stroll past the section of rocky coast, or even stroll out into the shallow waters without getting your shorts wet! The Camana Bay Ferry makes this point very accessible. Plus, it’s fun to take the boat ride and see the western and northern sides of the Grand Cayman Island. Ferries run frequently six days of the week, excluding Mondays. 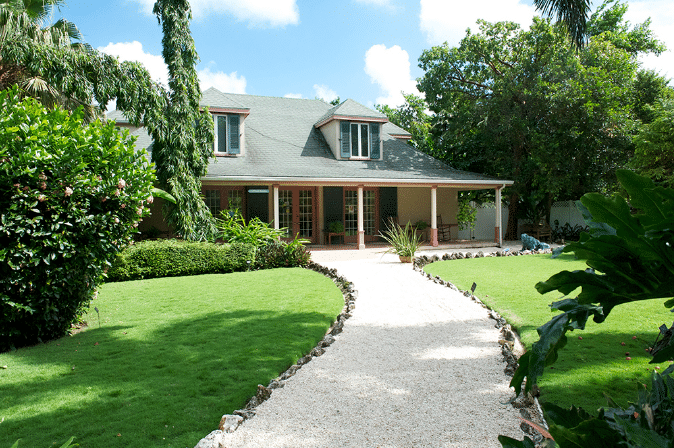 Rum Point is worth seeing as one of your things to do in Grand Cayman. Located just south of Rum Point, Starfish Point is a section of beach famous for its starfish. The beach itself is located on the tip of a skinny section of land, and it offers seclusion and serenity. Crystal clear waters stay shallow for a while before dipping out into darker blue hues. White sand and palm trees make it a picture-perfect beach. However, the unique addition here is the starfish that live here. You’re very likely to get to see some up close. We suggest heeding the sign on your way in, asking you to help keep these cool creatures alive! This section of beach, despite being a popular attraction in the Cayman Islands, isn’t littered with hotels and touristy restaurants. Instead, you’ll just find some sea creatures, clear waters, and tropical vegetation! 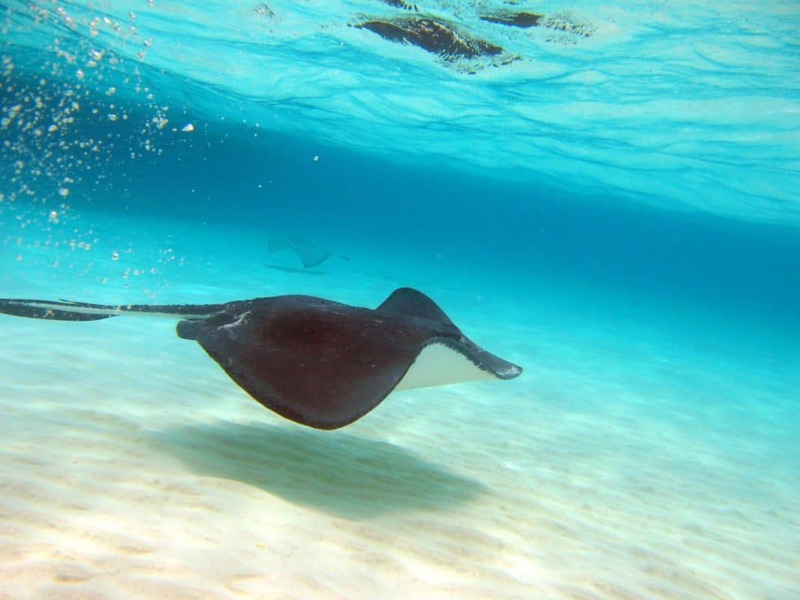 Stingray City is exactly what you’d expect: a destination with these crazy-looking creatures gliding through the shallow waters of the Caribbean. Located on the northern waters of Grand Cayman, this section of the shallow sea is located between Rum Point and West Bay. You’ll want to reserve a spot on the many boat tours. These businesses offer snorkeling, too, though that’s not necessary to see the stingrays. 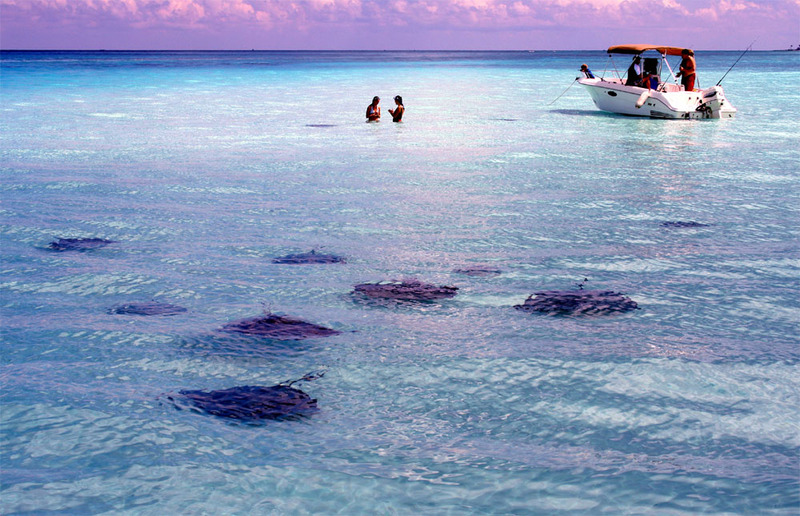 The waters are shallow enough for you to stand, and swim along with the stingrays! For those a bit terrified of these sea creatures, you’ll quickly realize that they’re friendly and very used to people! Apparently, kissing one is good luck. Admittedly, there are many boat tours operating at one time and so many vacationers wanting to experience one of the best things to do in Grand Cayman. We suggest White Sand Water Sports, which leaves from East End and is generally less crowded. This sure isn’t the typical hike up a long and scary lighthouse staircase. Camana Bay’s Observation Tower offers panoramic views of Grand Cayman. It is 75 feet high and you can access the deck, or top lookout, by stairs or elevator. However, you’ll want to take the stairs, if you can. This way, you’ll get to the beautiful mosaics that depict underwater life. Over three million Venetian glass tiles make up this scene, and it illustrates popular dive sites around the Cayman Islands. Therefore, this inside staircase is quite beautiful, proving that it’s not always about the destination, but rather the journey. You can see the views on your way up, too. Once you’re on top, you’ll get to take in the 360 views of the area. Additionally, this whole area called Camana Bay features great shopping and dining with well-kept gardens, streets, and benches for strolling. The Farmers and Artisans’ Market happens here every Wednesday from 12-7. Queen Elizabeth II opened this expansive garden in 1994, and since then, it’s quite literally blossomed. The pathways, landscaping, bridges and water features are beautiful to walk through. You’ll almost definitely get to see some iguanas. In fact, there’s been an effort to repopulate the blue iguanas, so it’s likely that you’ll spot some of this neat breed as they make their recovery. The visitor’s center (or rather, "centre" since the Cayman Islands are British) at the Queen Elizabeth II Botanic Park is beautiful. It offers great information on the various plants and wildlife, and has a beautiful porch for sitting. Finally, if you’re there during the right season, you’ll get to appreciate the orchid garden and even the Annual Orchid Show. The waters around the Cayman Islands are like an underwater playground for divers. Some divers say this is their favorite destination to scuba dive. That’s all thanks to the steep and deep drop-offs, the various shipwrecks to explore, and some beautiful coral and marine life. Additionally, the visibility underwater is good, the temperatures are warm, and the turtle population around the islands means you’ll have a high chance of seeing at least one! If you haven’t scuba dived before, you’ll need to take the training, but it’s still possible to dive for the first time during your Cayman Islands vacation. We suggest using Cayman Turtle Divers, since they limit their dive trips to six divers. 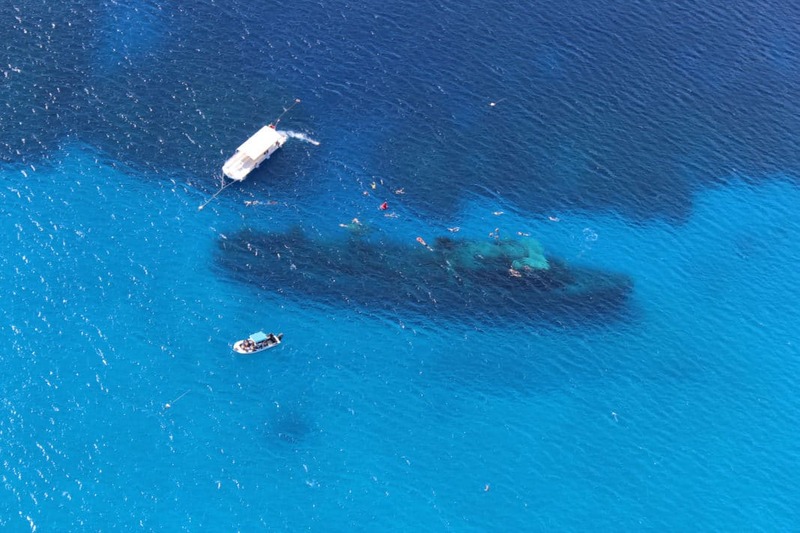 Plus, they offer dive trips to the various diving attractions around Grand Cayman Island. If you’ve ever been interested in scuba diving, it’s one of the top things to do in Grand Cayman, and now’s your chance! Because these caves had originally been privately owned, touring Crystal Caves is a relatively new opportunity and now one of the top things to do in Grand Cayman. There are many caves on the island, but this tour will allow you to see three of them. Despite what you may be thinking, these caves are not lurky, grungy or eerie. Instead, they’re quite beautiful, with stalactites and stalagmites rising or hanging down like sculptures. The water underground in them is clear and tranquil. They’re not so claustrophobic, thanks to tall ceilings, or plenty of light through the top or sides. Touring the caves offers a break from the sun and beach. However, we will say that it’s a bit costly, you’ll be doing a good amount of walking (including through the tropical forest and fields above). 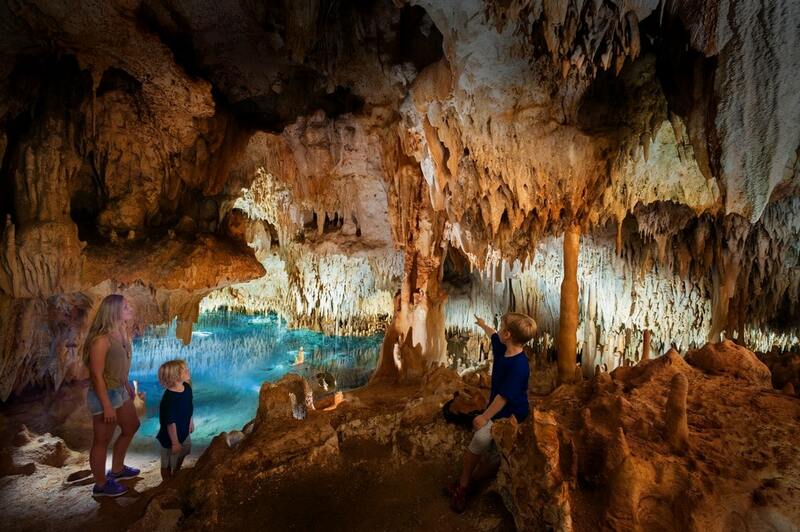 However, the Crystal Caves really are neat to explore and therefore one of the top things to do in Grand Cayman. Find out more information on booking your tour of Crystal Caves here. 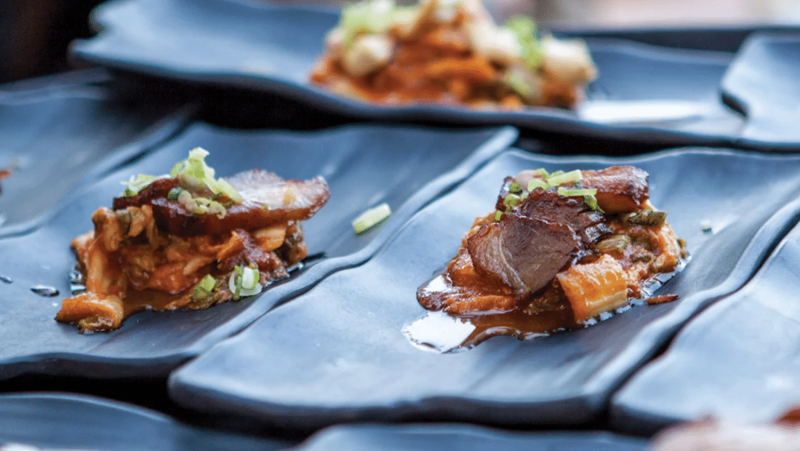 Explore some of the local cuisines with this food tour! You’ll begin with some wine, and then continue through three restaurants to enjoy some small plates at each. Finish with some gelato and finally a digestif at the King’s Head. This food tour’s great because you’ll get to make friends with some other visitors and try some of the scrumptious cuisine (since there are so many options, and so little vacation time). You will need to book in advance. Book your Camana Bay Flavour Tour here. Relax or explore (or both!) with these top things to do in Grand Cayman. 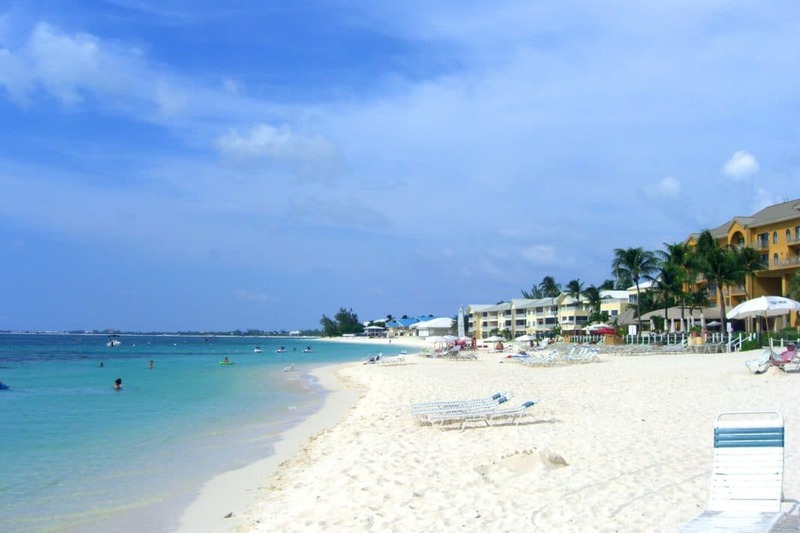 Relax with your feet in the soft white sand at any of beautiful, top beaches in Grand Cayman. Cruise on a boat, or float in the turquoise waters. To up your adventure a bit, you could explore the caves, learn about the wildlife at the botanic gardens, or climb the observation tower. Regardless of your choice of these activities, you’re sure to be thrilled with the beauty of the Cayman Islands, specifically Grand Cayman. We suggest doing your best to soak up the sun, relax in the waters, and take in the scenery with these top things to do in Grand Cayman. Interesting. I think the caves will be a good thought for next year.